The venerable Sharon Jones has just released this soulful Christmas tune about growing up in the ghetto. 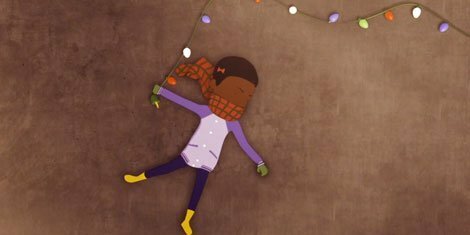 The accompanying Ryan Louie-directed video is a beautifully animated holiday story that fits perfectly with the song's tone. "Ain't No Chimneys In The Projects" is a simple song, but it examines the magic of Christmas and proves that no matter how much magic Santa has, the holidays are all about the ones you love. Check it out above. Sharon Jones was diagnosed with bile duct cancer earlier this year, but after a successful surgery, she's back on her feet and sounding as good as ever. Check out the video for "Retreat!" - a tune from her upcoming Give The People What They Want - right here at Zumic. For more news, music, and tour dates, be sure to check out Sharon Jones & The Dap-Kings' Zumic artist page.